Trouble begins when over indulgence in food (requiring an over-production of insulin) either leads to failure of the pancreas or cell damage (caused by over-production of insulin) in-turn leading to insulin becoming ineffective. Unfortunately, once the process of converting food into energy breaks down, there is no way to repair it. However, diabetes symptoms can be reversed by keeping our blood sugar levels under control and adopting a healthier lifestyle. 1. First off, you need to consult a diabetic specialist so that you can be properly diagnosed as to the type of diabetes (Type I or Type II) and also the progress of the disease. Where required, the physician or specialist will also prescribe medicines that may or may not include insulin. 2. If you are an adult, given that diabetes is categorized as a ‘lifestyle disease’ (meaning triggered by unhealthy lifestyle of the person), you would probably have to make drastic changes to your lifestyle. These changes would have to include incorporating adequate exercises, eating regular healthy meals, getting adequate sleep and if you were previously overeating, then, incorporating portion control plates, cups and glasses into your dinnerware. 3. You would also have to get yourself acquainted with the U.S.D.A approved concept of ‘MyPlate’ diet. Briefly, Myplate refers to a plate theoretically divided into four parts in the ratios of 3:3:2:2. The larger parts are one each for vegetables and wholegrain (including pulses). The two smaller parts are one each for proteins and fruit. To this, include a small 6 oz glass of low-fat milk or non-fat, non-sweetened yoghurt. 4. You also need to understand the energy formulae: Food to consume = Total energy requirement. An average adult requires approximately 2,100 calories of food every day (because we need roughly 2,100 calories of energy each day). If you need to reduce your weight, you should incorporate physical activity equivalent to not less than 200 calories per day. Since you are drawing 200 calories worth of additional energy than that provided by food, your body makes up the deficit by breaking down 200 calories worth of stored fat. Over time, you will reduce your body fat. 5. You also need to understand that some foods are digested immediately and therefore release glucose immediately into the blood stream. Other foods (e.g. proteins) take some time to digest. If you have been prescribed medication, you need to time the medication so it coincides with the glucose release in the blood stream. This is vital as mismatch will lead to your medication becoming ineffective and your diabetes progressing further despite the medication. 6. Conduct regular blood sugar tests at home by using diabetes test strips. The only way you know the efficacy of your medication as well as your efforts is by conducting regular blood sugar tests at home. If your medication is matched with the release of glucose in the blood, then even at peak times your blood sugar should have a normal reading. This is the sign that you have got it right. If you incorporate all six actionable points mentioned above, then your diabetes symptoms can be reversed. When attempting to lose or maintain body weight, any positive help that you can receive plays a vital role in helping you achieve your body fat and body weight goals. Portion control plates and dishes are and should form a very important part of the external aids that immensely help you control both the quantum and quality of food you eat. Modern lifestyle has resulted in people spending less time cooking their meals and more time eating at restaurants or opting for ready-to-eat meals. In both cases, the quantities of food served or packaged is more than that required by an adult. Additionally, commercially prepared food is often spiced up by adding natural or artificial ingredients that make the food tastier and immensely satisfying. Add to this the TV or other external stimulus, and we end up paying scant regard to the food we are consuming. Further complicating the issue is the fact that food prepared or packaged commercially, rarely adheres to USDA norms for a balanced diet. 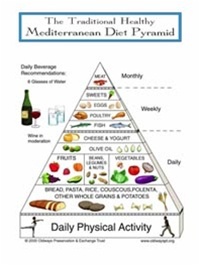 No wonder then that people not only end up eating more than they should be, they eat a highly imbalanced diet. As the name suggests, portion control diet plate and dishes, visually and physically help you control the quantum and type of food on the plate. It does this through physical size of the plate (typically 9 inches in diameter), and through demarcations on the plate. The portion control plates and dishes are demarcated into three sections; proteins and cereals, vegetables and the third section is for fruit. This is in accordance with USDA recommendations on balanced diet. When you pile food onto a relatively small 9-inch plate, it quickly fills up and prevents you from piling up more food. The demarcations act as a reminder that your plate should contain foods from all the food groups. Through control in the quantum and type of food you eat, the portion control plates and dishes help you achieve your weight loss or body weight maintenance goals. Portion control plates and dishes are made from food grade plastic, melamine, glass or porcelain. Portion control plates and dishes made from plastic are obviously the cheapest but last the least and are also the least attractive. At the other end of the scale are the portion control dishes and plates made from porcelain. Porcelain portion control plates and dishes are high-gloss, scratch and chip resistant, finely crafted products that are also dishwasher safe. Besides being a highly useful tool in your battle with the bulge, porcelain portion control plates and dishes add to the elegance of your kitchen as well as diabetes portion control. Most manufacturers of Porcelain portion control plates and dishes also include disposable paper mats that have useful information printed on them. This information guides you on the use of the Porcelain portion control plates and dishes and may also contain helpful information on portion sizes and nutrition. The printed information along with the portion control plates and dishes are of immense help in ensuring you eat right and thereby in achieving your weight loss or weight maintenance goals. From all the diets made for diabetics, vegetarian diabetic diet is one of the most famous and the most loved by all. It provides a lot of health benefits to the person and it also help in managing the symptoms of the disease. I know you’re pretty excited by now to try this kind of diet, but before you do, allow me first to show you the health advantages that you can get when you munch on this particular diet. Vegetables are rich in essential vitamins and minerals, which are important for the body. Without these vitamins, our body won’t function properly and will eventually deteriorate. That’s the very reason why many people, especially diabetics have decided to “shift” choose vegetarian diabetic diet. In this section, we will explore the health benefits of eating a vegetarian diet. • Lower Cholesterol Levels – Vegetables are rich in “fiber,” the substance that “sweeps” bad cholesterol out of your system. Fiber absorbs the cholesterol present in the veins and arteries, so that it can be eliminated in the form of feces. The normal level of cholesterol that is present in the blood should be less than 200 mg/dl. More than this level and the person may suffer from various complications such as atherosclerosis, which can lead to more complicated diseases like stroke, or other heart conditions. • Regular Bowel Movement – Normal bowel movement is very important for every person. This is our body’s way to eliminate the harmful toxins or waste products out of our system. If the person fails to establish a regular elimination of these waste products, it can affect the wellness and the over-all health of the body. Vegetarian diabetic diet contains a lot of healthy fiber, which assures you of a regular bowel movement. • Prevents Vitamin Deficiencies – Vegetables are food products that contain the highest amount of vitamins and minerals that are “badly” needed by the body. Regular consumption of vegetarian diabetic diet will not only treat any of the vitamin deficiencies, but it will also prevent any future occurrence of any deficiencies. These are only some of the benefits that you can get if you choose to stick with vegetarian diabetic diet. However, before you start this kind of diet, we highly urge you to see your doctor first so that the diet will be planned accordingly, and suited to fit your personal needs. Even though vegetables are rich in essential vitamins, pure vegetable diet may precipitate to some “deficiency” of the other substances that are not present in vegetables, and can found only in meat products, or sea-foods. This is the very reason why we advise you to ask first the guidance of your physician or dietician before starting a vegetarian diabetic diet. If you’re looking for foods that you will include in your diabetic diet program, then look no more. All over the world, there are millions of people that are suffering from diabetes and majority of these people wanted to learn the “correct” process of preparing their own diabetes diet program, to have a better control over their blood sugar levels. In this article, we will teach you how to choose the right food that you can include in your diabetes diet program. Listed below are some of the food products that you should prioritize when making a diabetes diet program. • Green-leafy Vegetables – We all know that green leafy vegetables are rich in various vitamins and minerals that are vital to the body. These nutrients are needed by diabetics to replenish those vitamins that are wasted as a part of the disease process. Almost all the vegetables are virtually “fat-free.” And this is one of the reasons why you should include it in your diabetes diet program. • Fruits – Like vegetables, fruits are also rich in nutrients that are essential to the body. Fruits are also high in fiber, which is important in maintaining a healthy digestive system. The anti-oxidants that are present in the fruits can strengthen your immune system for you to resist various infection, and diseases. • High-Protein Foods –Your diabetes diet program should be rich in protein. Products that are high in protein are: egg-whites, beans, plant seeds, white meat, tofu, soya and peanuts. The cells in our body are mainly made of protein; therefore, we need to nourish ourselves with protein to preserve its integrity and health. From time to time, the cell in our body becomes exhausted and damaged, and needs sufficient amount of protein in order to recover or heal itself. • Complex Carbohydrates – Maybe you have heard several times about the importance of complex carbohydrates in managing the levels of your blood sugar. Consuming complex carbohydrates over “simple-carbohydrates” is one of the critical factors that you should consider when making diabetes diet program, because it provides you better control of your blood-sugar levels. The types of food that we have presented on this page were proven effective in managing type 1 and type 2-diabetes. However, we still encourage you to visit your trusted physician or dietician to check whether they suit your needs or not. To make you diabetes diet program even more successful, regular exercise is also advised, and should be done in moderation. Typefreediabetes offers a full line of diabetic shoes, including bladder control pads; diabetic socks men’s, portion control plates, blood glucose tester, glucose monitoring devices, durable diabetes medical equipment, supplements for diabetes, automatic blood pressure monitor and many other home health care products and supplies. Typefreediabetes offers quality products at discounted prices on a wide selection of quality name brand equipment and supplies. Husband and wife Ed and Ann-Marie Stephens founded their first website, TypeFreeDiabetes.com, after compiling information for family members who were diabetic. Both Ed and Ann-Marie Stephens are chemical engineers with backgrounds in product development for large national companies such as Proctor & Gamble, Frito-Lay and Avon. They decided to create a website that would contain dietary and nutritional information in addition to products for diabetics, everything from shoes and cookware to meters and portion-controlled dinnerware. The couple founded Henrico County-based Blue Horizon Development in 2004 and spent three years conducting research before launching the e-commerce site TypeFreeDiabetes.com in 2007. They had considered opening a bricks-and-mortar location but decided to go the Internet route instead. “On the Web, we didn’t have the overhead,” she said. In 2010, the couple also launched PrecisePortions.com, a site for the sale of their porcelain dinnerware system for weight management. They saw portion-controlled dinnerware as a strategic area for their company. “At our hearts, we are innovators,” Ann-Marie Stephens said. In addition to portion-controlled dinnerware, PrecisePortions.com includes healthy recipes and charts containing nutritional information regarding vegetables, meats and starches. The stylish design the couple used for their plates, bowls and glasses is easy to understand because of its subtle visual cues for portioning. The weight management system is dietitian designed to ensure it meets dietary guidelines from the American Dietetic Association. Dietician and nutritional consultant Bernadine Scott of Detroit said she enjoys consulting with the couple on PrecisePortions.com. She finds that people often have challenges with portioning when they are trying to lose weight or stay on a healthy diet. In 2010, TypeFreeDiabetes.com experienced top-line revenue growth and was able to double its profits of 2009. “PrecisePortions.com sales are going well too,” Ann-Marie Stephens said. Most of the company’s sales for both sites are concentrated in the United States, but PrecisePortions.com also is selling in Canada. Dinnerware for the site is manufactured in Ohio. Brian Leach, president and CEO of Richmond-based Unboxed Technologies, began using PrecisePortions dinnerware with his family after Leach consulted with the Stephenses. He finds the Stephenses to be very focused on the consumer. “They are very passionate about trying to get it right and making a difference,” he said.